While trade rumors are swirling in every direction, the Boston Red Sox front office got out in front of the pack and addressed their biggest needs several weeks before the August 1 deadline. Following the acquisition of infielder Aaron Hill and closer Brad Ziegler, GM Dave Dombrowski set out to bolster a Red Sox rotation that ranked 19th in ERA and 18th in WAR at the halfway point. 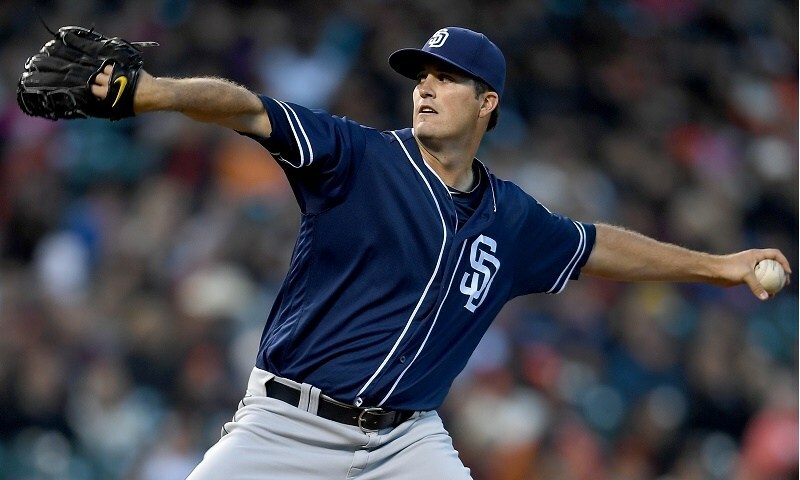 A trade for San Diego’s Drew Pomeranz (8-7, 2.47 ERA in 102.0 IP) seemed like a good place to start. 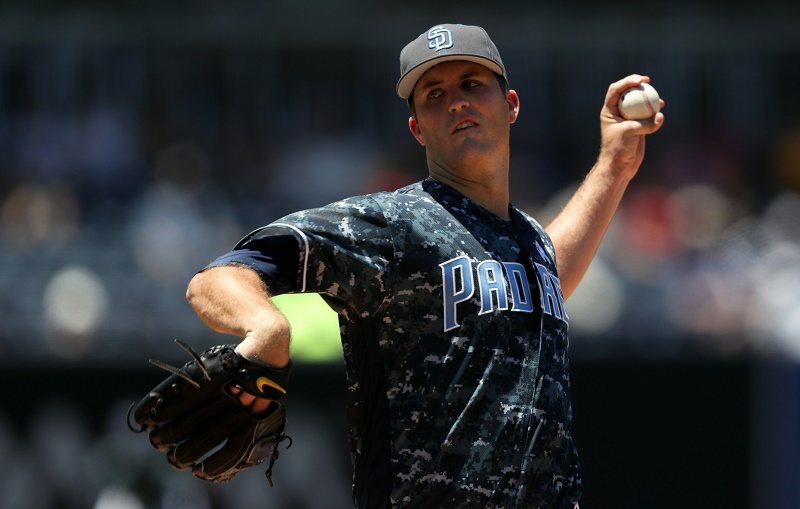 Despite the bargain contract of Pomeranz, who is under club control until 2019, the mixed reactions from rival GMs and members of the baseball media hint at the risks involved in this swap. Anderson Espinoza, who ranked 15th on Baseball America’s midseason prospect list, instantly became the jewel of the Padres system. But the story only begins with what Boston gave up in the deal. Here are three risks Boston faces after pulling the trigger. Prior to this year, Pomeranz had not been a full-time starter since 2013, when he pitched for Colorado’s AAA club. Split between the big-league club and the minors, he ended up with 111.2 IP that season. After moving on to Oakland in 2014 and finding some success in the A’s minor league system, he split his time between starting and the ‘pen, accumulating 115.1 IP. Last season, between nine starts and 44 relief appearances, the left-hander logged 86.0 IP. That brings us to this season, and Pomeranz has already tossed his most innings (102) as a big-league starter. His professional high, split between the minors and majors in 2012, was 147.2 IP. No one knows how he will respond in August and — most importantly, given the timing of the deal — in September and October, if Boston makes the postseason. The risk is huge as the Red Sox are going for it in 2016. If you were asked to pick a pitcher’s park, Petco in San Diego would be one of the first that came to mind; if an interrogator wanted a hitter’s park named, Fenway would be a good example. 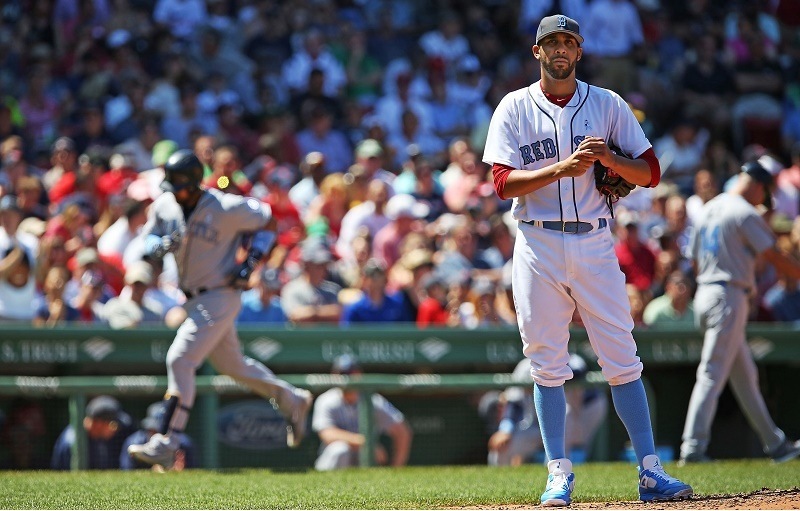 Pomeranz will face an entirely different set of circumstances when he pitches in Boston, and we’ve seen the effects already on nominal ace David Price, who’s allowed 10 HR and posted a 4.06 ERA in 75.0 IP at Fenway in 2016. The good news is Pomeranz has developed a cutter that neutralizes right-handed batters. (In 2016, lefties are hitting better off him.) There are exceptions, of course, and quality right-handed bats (Pence, Posey, Goldschmidt, Ahmed) have been the ones who victimized Pomeranz in his worst starts this season. What will happen now that Donaldson, Escobar, Machado, Trumbo, Longoria, Beltran et al get regular swipes at him? We shall see. One might also note the bloated walk rate (3.62 BB/9) Pomeranz was sporting in a Padres uniform. The last thing you want to do in the AL East is give hitters free passes and watch them hit a pop-fly for a home run in left at Fenway, right at Yankee Stadium, or anywhere in Camden Yards. Scouts are so high on Anderson Espinoza because of his stellar control and secondary pitches as an 18-year-old pitching in A-ball. He’s one of the game’s top prospects because of his precociousness and his potential to fill out and become a No. 1 starter by, say, 2019. As with any big deal, the Red Sox risk dealing away a player who could be a phenom on the level of Jose Fernandez or Matt Harvey. If Boston goes deep in the playoffs and Pomeranz comes back pitching at a high level next season, the deal will look a lot safer than it does now. Should Pomeranz falter down the stretch and Boston misses the playoffs, you can expect Red Sox fans to follow the career of Espinoza closely as he rises through the ranks of the San Diego system. Dombrowski is already on the hook for the prospects that went west in the Craig Kimbrel deal.